Located in San Angelo & Colorado City, Texas, First Service Insurance has provided our clients with superior insurance coverage and outstanding customer service for many years. Our history of serving insurance needs can be traced back to 1931 in rural West Texas. Current management was establised in 1980 and with our industry experience we can handle your most complex risk. Our mission is to providing excellence in client service through superior product knowledge. 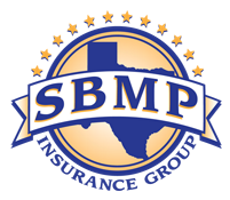 We offer all types of Personal Insurance coverages to our clients in Texas including Auto Insurance, Homeowners Insurance, Individual Life Insurance, Motorcycle Insurance, and Boat & Watercraft. Give one of our agents a call to save money on your Business Insurance. Some of our Commercial insurance coverages include Business Owners Policy (BOP), General Liability, Commercial Auto, Workers Compensation, and Group Health Insurance. Just give us a quick call today at 325-653-8071 or Submit one of our quick online quote forms - with the help of our dedicated business partners; we conveniently offer an entire solution for all your insurance and business needs.